Jeffrey B. Valle is an experienced litigator and former senior partner at Skadden, Arps, Slate, Meagher & Flom, one of the nation’s preeminent law firms. Mr. Valle has more than 25 years of litigation experience. He has represented Fortune 500 companies, smaller businesses and high profile individual clients in a wide range of commercial and business disputes. Mr. Valle also specializes in entertainment and intellectual property litigation. He was the co-head of the Skadden, Arps west coast entertainment and intellectual property group. Mr. Valle has successfully conducted many trials, arbitrations and mediations in state and federal courts throughout California. He has an “AV” rating from Martindale-Hubbell, the organization’s highest rating for attorneys. Mr. Valle was selected as one of Southern California’s 2009 and 2013-2017 Super Lawyers by Thomson-Reuters and he was selected as a 2013 Top Rated Lawyer in Intellectual Property and a Top Rated Lawyer in Labor and Employment law by American Lawyer Media and Martindale-Hubbell. Mr. Valle has received numerous awards and commendations, including a Special Commendation from the Governor of California and a Certificate of Recognition from the California Legislature for his highly successful trial work. Mr. Valle also taught a required class on First Amendment Law as an adjunct professor at the University of California at Los Angeles for many years. He is a recognized expert on First Amendment issues and has commented frequently in print and electronic media on various legal issues. Mr. Valle also has a commitment to public service and pro bono legal work. At Skadden, Mr. Valle headed the firm’s West Coast Pro Bono Practice. He also served as the President of the Board of Directors of the Western Center on Law and Poverty, a public interest law firm, from 1997 to 2003. In 1997, the American Civil Liberties Union awarded Mr. Valle the Pro Bono Civil Liberties Award. Mr. Valle received his J.D. in 1983 from the University of California at Berkeley (“Boalt Hall”). Mr. Valle received a Bachelor of Arts Degree in 1980 from the University of California at Los Angeles. He was an associate at Paul, Hastings, Janofsky & Walker from 1983 until 1986. He joined Skadden as an associate in 1986. He was elected to the partnership in 1991. 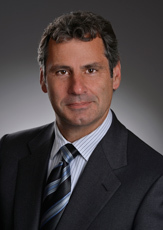 He was a Skadden partner from 1991 until 2002, when he left the firm and formed Valle Makoff. Mr. Valle is also a talented jazz pianist. His band, Evolution, plays at clubs and private parties in the Los Angeles area.